Alfa Laval’s recent acquisition of gas combustion technology provides DFDE or LSD engines with a compact gas combustion unit (GCU) that has lower installation costs and operating expenditures than comparable units. Alfa Laval is dedicated to LNG transport; therefore we have added yet another security-enhancing solution for LNG carriers. The Alfa Laval GCU joins the inert gas generators, burners, boilers, heat exchangers and more in our already extensive LNG portfolio. The Alfa Laval Gas Combustion Unit (GCU) conveniently handles boil-off on vessels with dual-fuel or low-speed diesel engines. With a uniquely compact design and low maintenance operation, it combines easy integration with true reliability. The most important feature for your LNG business is that Alfa Laval GCU has lower installation costs and operating expenditures than comparable units and comes with our worldwide network of service and support. 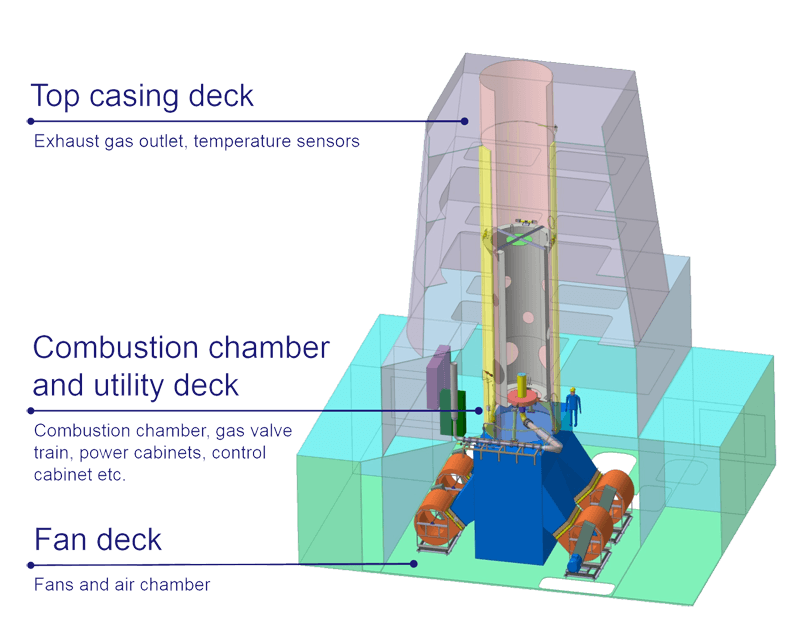 During the last decade, the major part of new-building LNG carriers have changed main propulsion system from steam turbine into Dual Fuel Diesel Electric (DFDE) propulsion. The use of DFDE engines or the new generation 2-stroke DF engines provides LNG ship-owners and operators with economical and environmentally sound alternatives to traditional systems. These engines, however, require additional means with which to regulate LNG cargo tank pressure. There are a number of alternative systems that can be applied but the large part of the DFDE vessels being build today are equipped with GCUs. The GCU has been introduced as a crucial part of the vessel’s boil-off management strategy and provides a safe, reliable method to burn the excess boil-off gas that is not used by the ship propulsion system. proven capabilities to burn gas mixture with high nitrogen content in a safe way, ensuring the disposal of all methane gas without requiring the use of pilot oil burners. 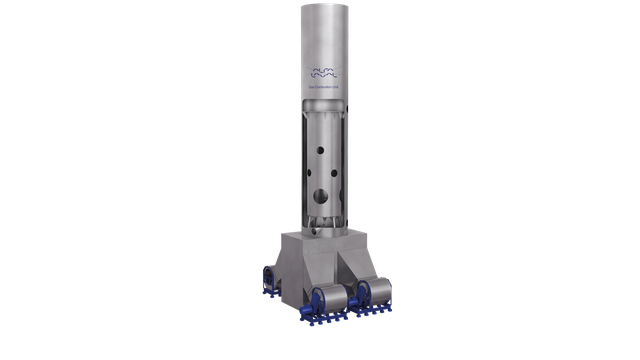 The Alfa Laval GCU is available in four standard sizes, which accommodate capacities of 1.5 to 3 t/h, 3 to 4.5 t/h, 4.5 to 6 t/h, and 6 to 9 t/h methane, using either single or dual combustion chambers. The information contained herein is correct at the time of issue, but may be subject to change without prior notice Alfa Laval is a trademark registered and owned by Alfa Laval Corporate AB. Alfa Laval reserves the right to change specifications without prior notification.